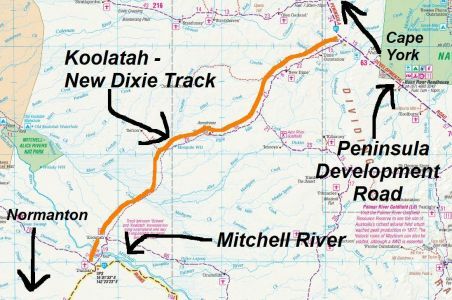 Bushtracker Forum :: View topic - New Dixie - Koolatah Stations Track. Posted: Wed Jul 23, 2014 10:55 am Post subject: New Dixie - Koolatah Stations Track. Currently up in Cape York. I want to travel from Musgrave Roadhouse down the New Dixie - Koolatah Stations Track. I am getting conflicting reports about the condition of this track. Has anybody travelled this track just recently. Or, have any contacts so I can ring and find out? Be warned we did this trip with a camper three years ago and the Mitchell crossing at Dunbah Station is a,bout 100 metres of very soft sand. The rate for recovery at Dunbah is $1000 plus, otherwise the tracks are okay. This crossing can change after each wet so try and ask some of the locals about its condition. 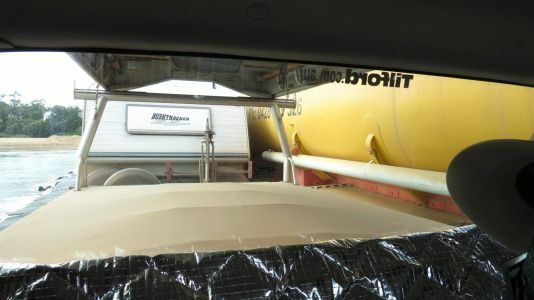 We were there in 2011 with a Kedron top ender towed with an F250 but that's another story. Spent a lot of time walking river etcetera ended up taking the safer route and turned around. In 2011 I doubt whether even a 4x4 by itself could have crossed mind you it was May. Camped @ Mitchell river crossing on Dunbar early June.There is a new hi-tech bridge there now.This required some repair before being usable and north end was covered in very substantial amount of sand.May very well be open by now.The Mitchell crossing @ Gamboola had just opened. Thanks very much to everyone that responded. This is exactly the information I required and the photo is worth more than a million words. I'd been told stories about huge ruts that were in passable and deep enough to lose a four wheel drive in. The washouts after Cyclone Ita, Blah Blah Blah. They were just Camp Fire Stories. Appreciate all your help with this one, it is another 354 kays to detour aronud the Dunbar Crossing. 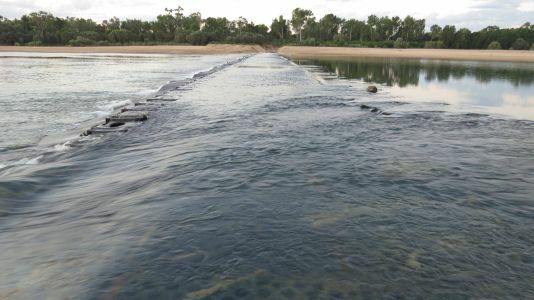 Col and kris here to answer your question we left weipa 2 weeks ago and traveled that road , slow going but some great camps on the way .Camped on the mitchell river great spot. Worth it! ? 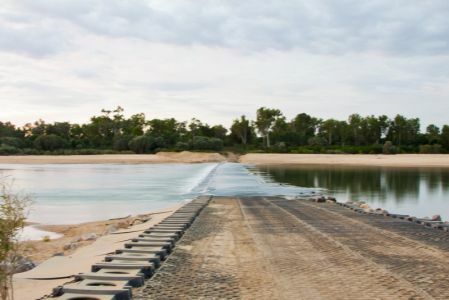 The Mitchell River Crossing will be closed for 2 months from Monday 25 Aug.
We came down the Dixie Track and across the 'Egg Crate Causeway' two days ago. The road gangs water truck was parked to one side of the causeway, he waved us through. It was a very tight squeese to get pass. After the tanker driver seen our van, he was in for a lengthy chat in the middle of the causeway as he'd just bought a new BT. We stayed in the cab dry, he stood in the water. 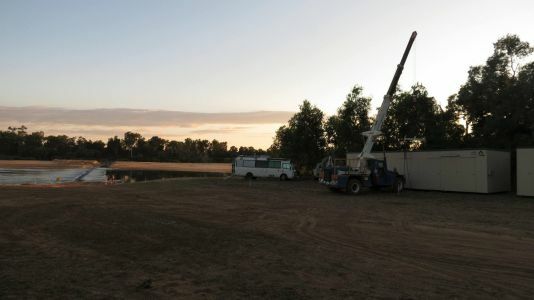 The work camp huts were being delivered throughout the night by roadtrains, which made a sleepless night. The construction boss told me the next Mitchell Crossing while this one is closed, is about 80 kms to the east.